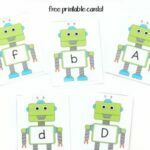 These alphabet search and find printables make it so much fun to learn letters! 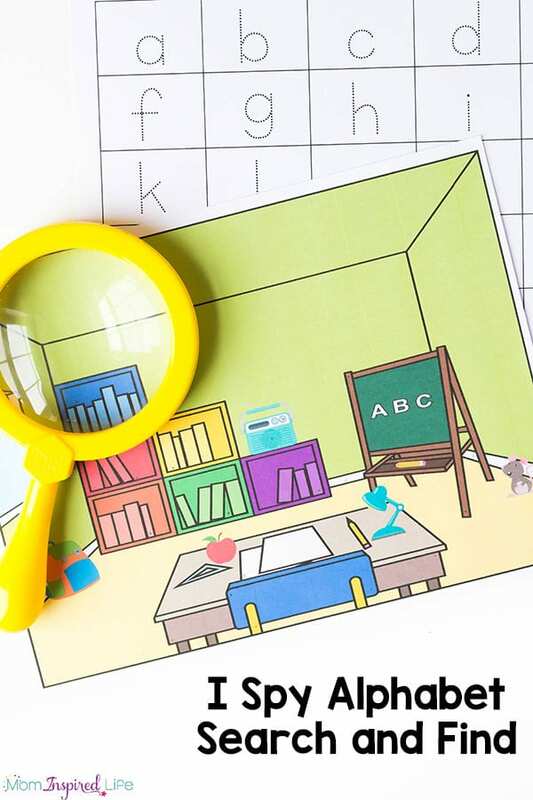 Grab your magnifying glass and get ready to teach letter identification and writing. 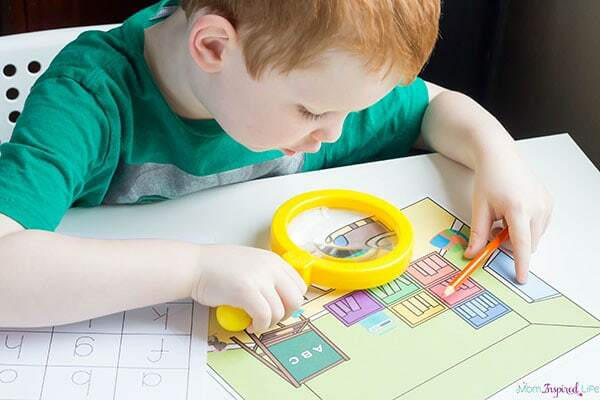 My son loves using his magnifying glass for all sorts of activities. 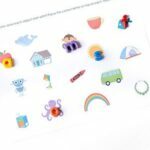 One of his favorites was this alphabet hunt, but this time I wanted to make a printable version we could use over and over again. I can even save this one to use with my daughter when she is older. 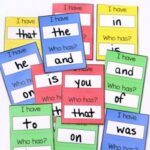 This is a hands-on way for kids to learn identification and practice writing the letters as well. 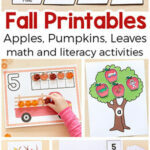 It’s also an excellent way to develop visual tracking abilities. Print the pages you would like to use. I like to print the scenes on cardstock and laminate for durability. 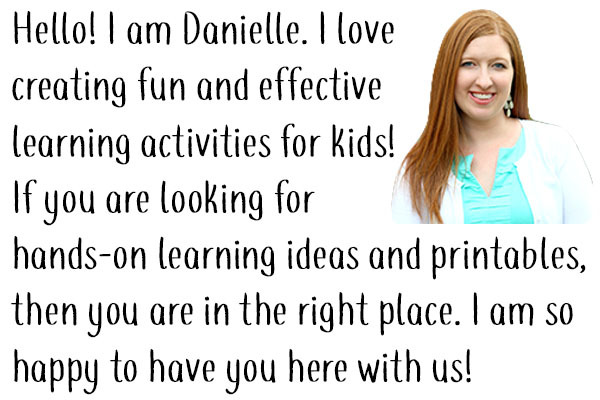 If you don’t have a laminator, I would definitely recommend that you at least print them on cardstock. I print the recording sheets on regular paper. 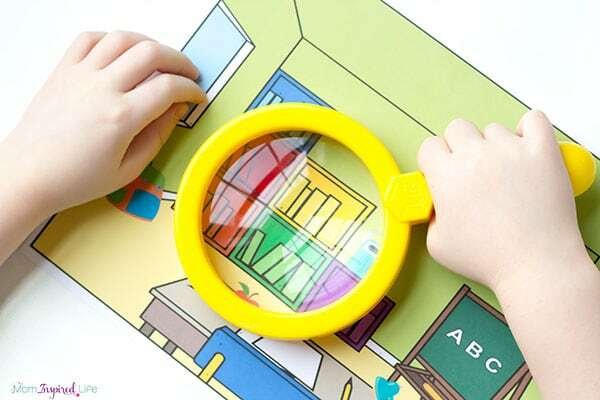 Lay a search and find scene, the recording sheet, the magnifying glass and writing tools nearby. 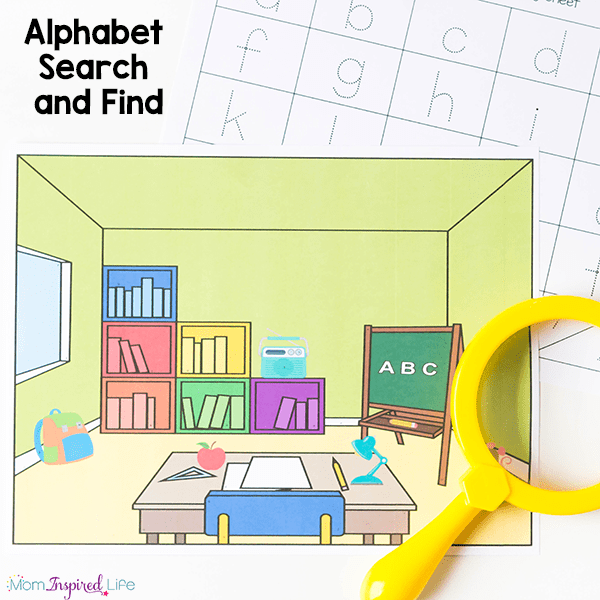 I showed my son how he could use the magnifying glass to find letters on the search and find mats. Then I explained that he could record the letters he found by tracing them on the recording sheet. 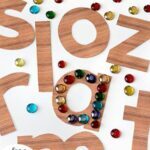 I didn’t make the letters too small because I didn’t want to frustrate my son. I wanted it to be something that preschoolers could do. In the end, there were still some letters that frustrated him a bit, but it was a good challenge for him. And I stepped in and offered some hints when he really needed them. 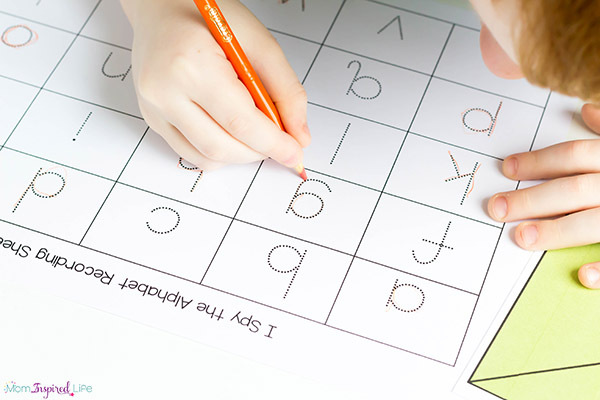 The recording sheet was also a fantastic way to sneak in alphabet writing practice. My son actually enjoyed tracing the letters as he found them. 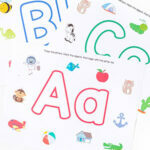 I also included a blank recording sheet, for older children who can write the letters without a guide. He really loved pretending to be an alphabet detective. He willingly searched for and found each and every letter on the mat. I call that a success! 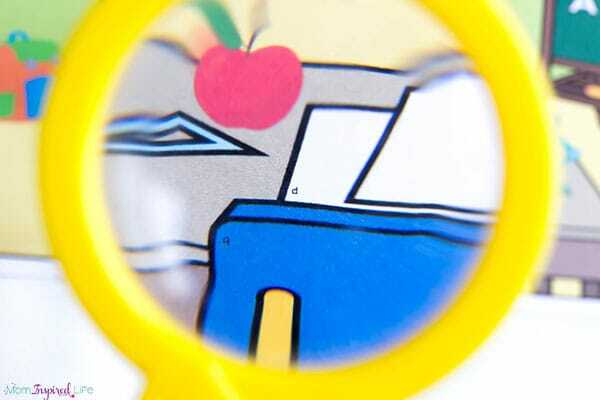 Here are some more learning activities that use a magnifying glass.